You can find these on eBay and Aliexpress for quite cheap. Search for "ATmega32u4 board". 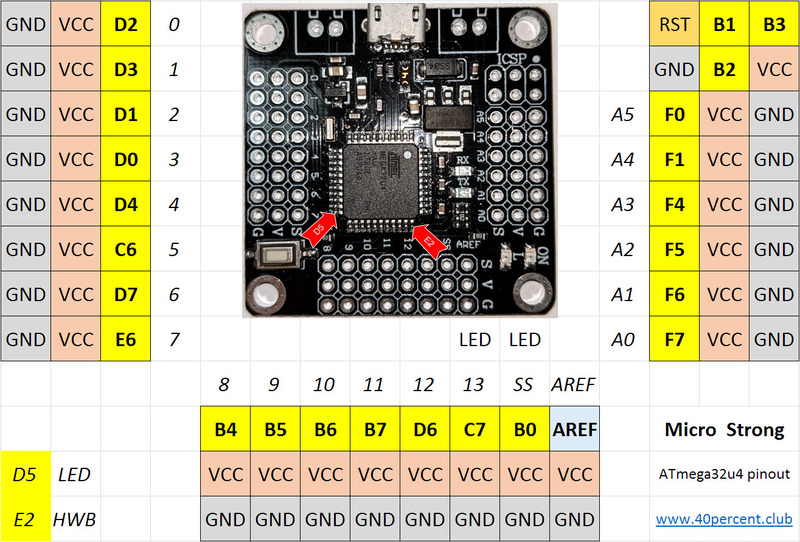 This seems to be the same circuitry as an Arduino Micro, but not having the schematic, this is only a guess. The board is a square, 4cm on a side. 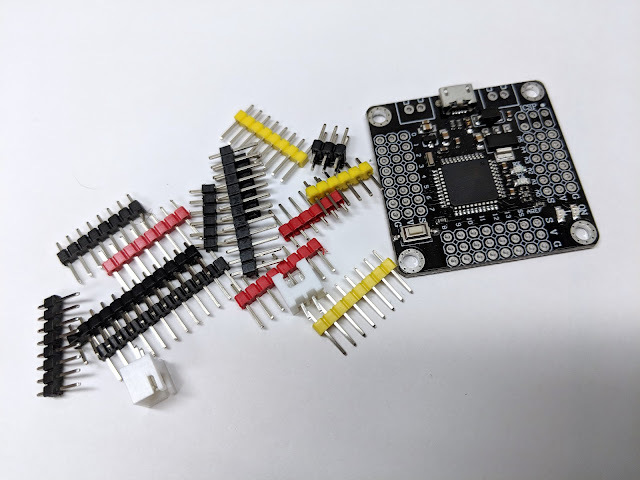 The Micro USB connector is the stronger type that has legs that go through the PCB. There are 3mm diameter mount holes in each corner (34mm centers). These would be a good choice for a hand wired board. Lots of power and ground connectors and built in mount points. The bottom is mostly flat. There is a solder bridge jumper to select the voltage. I have seen 8MHz versions for sale. I assume those are jumpered for 3.3v. The website printed on the back loads a broken Chinese webpage. 24 of the ATmega32U4 pins are easily accessible (just like on an Arduino Micro). Some are connected to LEDs (C7, B0). 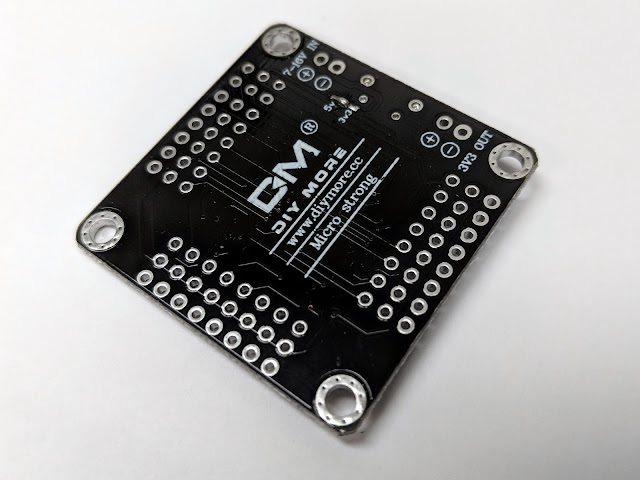 Pins D5 and E2 can be accessed on the large ATmega32U4. D5 should be usable as an output. E2 is connected to ground through a 10k resistor so should also be usable as an output.